When companies and organizations need to test a new product, service, advertisement, or slogan, they do not turn to marketing executives. They do not confer with the world’s top scientists. And they do not bring in financial consultants. They listen to what YOU have to say. And how do they do this? Focus groups consist of opinion-seeking discussions where YOU, the consumer, are asked to share YOUR opinions on new products and services with 8-10 people who share common traits – (age, gender, etc.). In a focus group, your opinions matter, because you are the expert! After all, you are the target audience. Companies spend thousands or even millions of dollars on new ad campaigns, services, or products, so they want to make sure that these new offerings resonate with the consumer…you! These companies use focus groups to do this and more. Focus groups are used for concept testing, product use feedback, and test market roll-outs. Successful businesses are not successful because they have the smartest executives or the best advertisements. They are successful because they listen to you and your opinions! These businesses use the information ad feedback that you provide in focus groups to make well-informed business decisions that help them sell their products or service and increase profits. If you think you might be interested in participating in a future focus group to get paid to give your opinion, sign up at http://www.observationbaltimore.com/get-paid-baltimore-maryland-get-paid-cash-opinion-baltimore-md/. 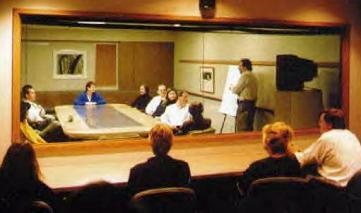 Observation Baltimore is one of the nation’s premier focus group facilities. We are conveniently located on the campus of the University of Maryland, Baltimore County (UMBC), just minutes from Baltimore/Washington International (BWI) Airport, and we want to pay you for your opinions! To find out more about Focus Groups and Observation Baltimore, contact our market research specialists today by calling 410-332-0400 or click here! This entry was posted on Wednesday, April 25th, 2012 at 7:23 pm. Both comments and pings are currently closed.